Katie LeClair has finally settled down as the new doctor in Baxter, Michigan. After years of moving, schooling, and training, she wants nothing more than to find a place she can call home, and a small town outside of Ann Arbor seems perfect.Katie quickly gets to work in building a life for herself in Baxter, and beyond reviving her love life, she also finds a pair of business partners in a team of father and son family practitioners. But that idyllic dream is immediately shattered when one of her patients is found dead. That wouldn't be the worst thing, except the death is ruled a suicide, and as evidence has it, the suicide was a result of the medication Katie had prescribed. 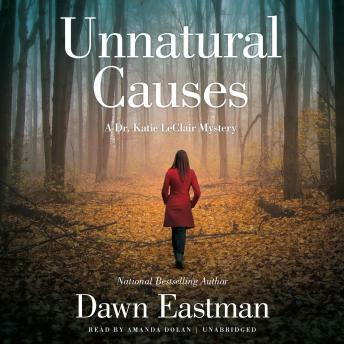 But she doesn't remember writing it.When a closer investigation reveals it was murder, Katie is catapulted into an off-the-books investigation that leads her down a dark path of past secrets. But someone is willing to kill to keep part of the town's history in the shadows, and Katie must race to find out who before it's too late.